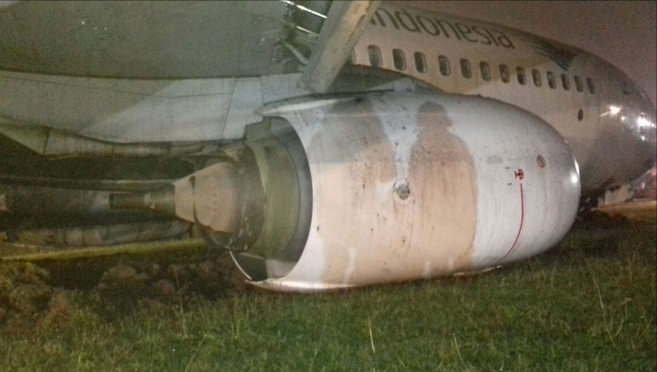 On landing in light rainfall the aircraft failed to stop before the end of the runway. It came to rest in soft ground. There were no serious injuries. 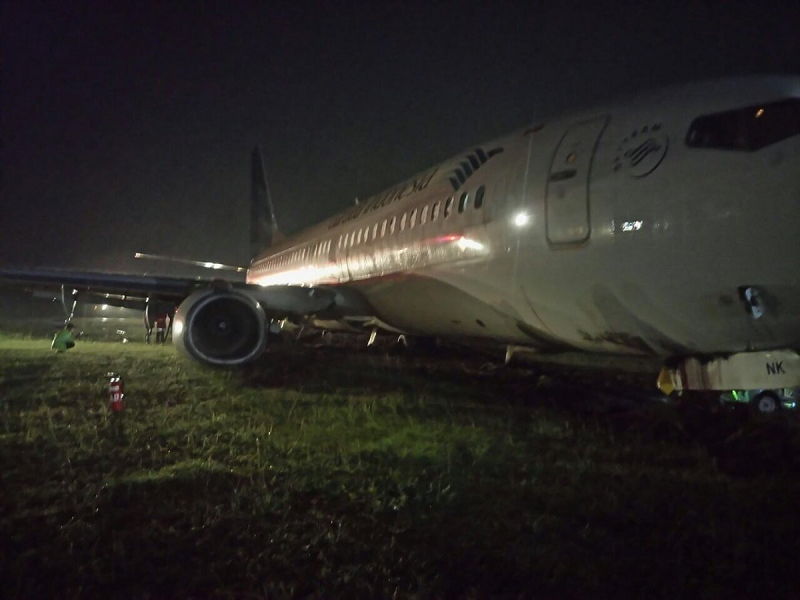 In darkness, the aircraft ran off the end of runway 09 at Yogyakarta-Adi Sutjipto Airport coming to rest with all undercarriage in soft ground. 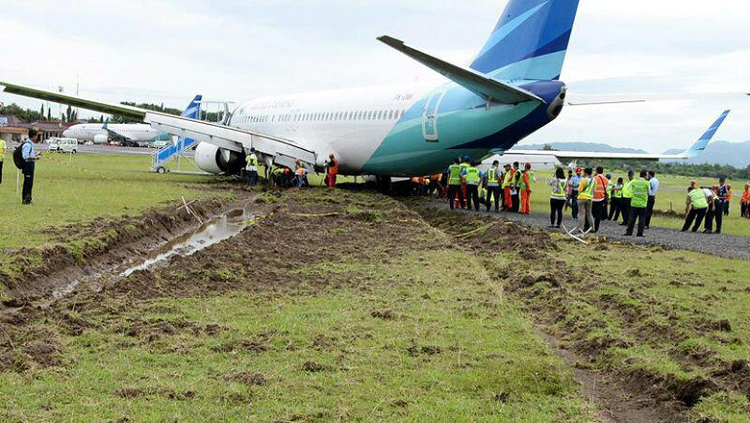 At the time of the accident, local weather consisted of heavy rain that may have contributed to a reduction in braking efficiency. 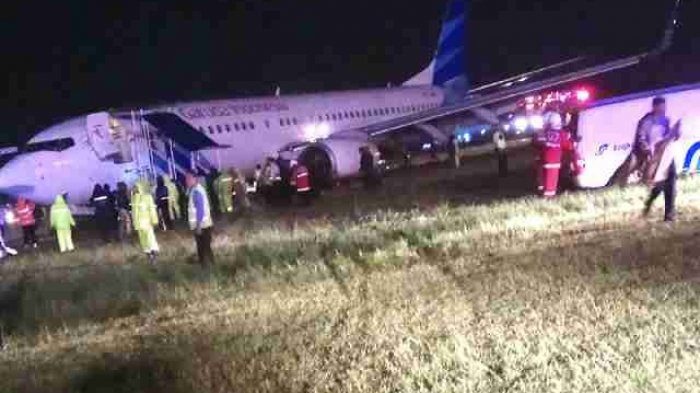 According to local media reports, none of the passengers or crewmembers were injured. The damage is being assessed but likely to be minor. 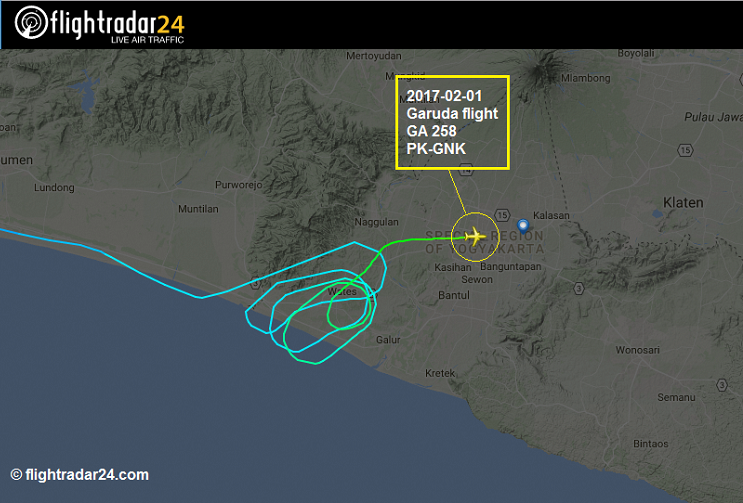 On arrival the aircraft (flight GA 258) has entered a holding pattern at around 19:25L about 15 NM southwest of the airport circling at 12,000 ft. 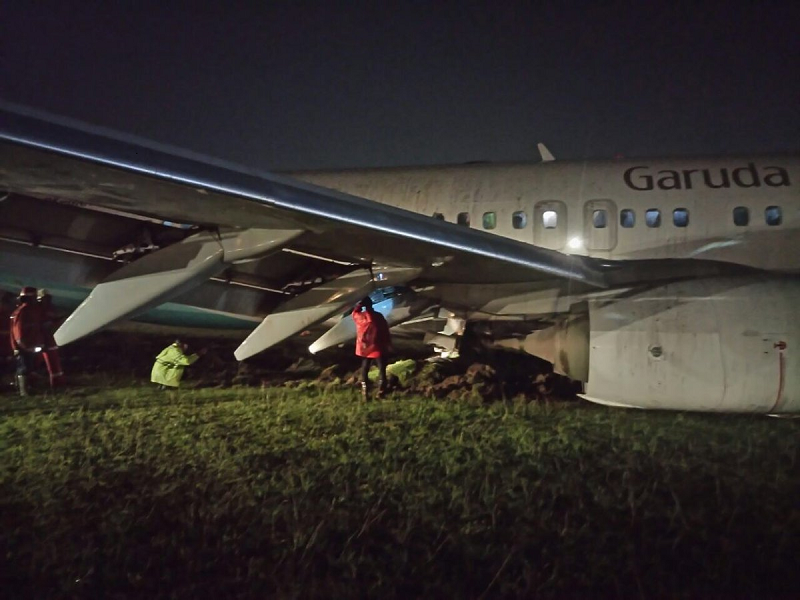 The flight joined two other aircraft in the holding: Garuda 676 (B738 from Makassar) and Batik Air 7539 (B738 from Jakarta). 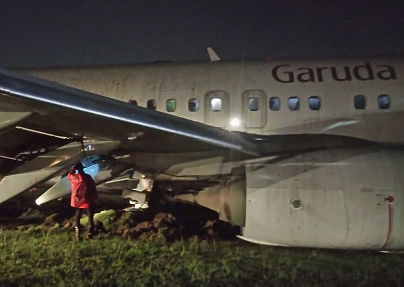 The holding was canceled at 19:43L whilst descending to 5,000 ft. to resume the approach. 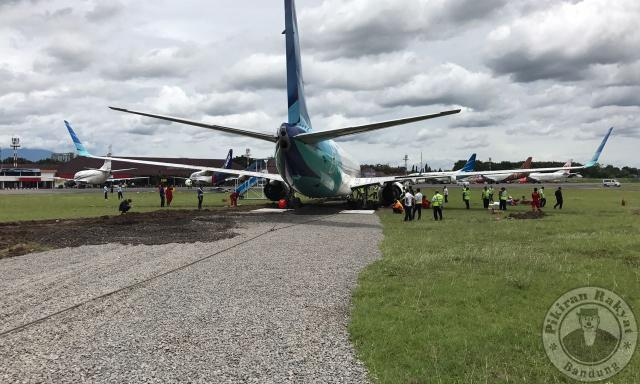 The following morning, the aircraft was removed and pulled by tug via an improvised paved accesspath back to the runway and to the main ramp. 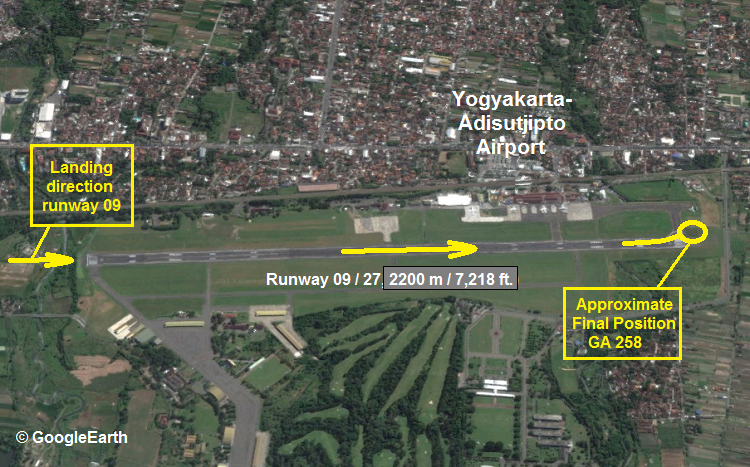 According to a NOTAM, Adi Sutjipto Airport remains closed until 15:00L the next day.